Most people are unaware concrete is a porous substance until they spill oil on their driveway or concrete sidewalk. Then they find out the hard way that oil is very difficult to remove from concrete, pavers, or brick. Luckily, we at AZ Power Wash Pros are experts at removing oil stains in Prescott. 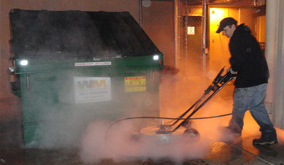 We can successfully remove oil from all different types of surfaces using our high pressure steam cleaning equipment and knowledge for safe environmental degreasers that work. We use enzymes that seep into the pores of the concrete and break up the hydrocarbons to remove the stain from your surface. 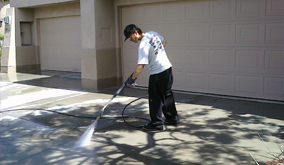 We remove oil stains from driveways and walkways everyday in Prescott. 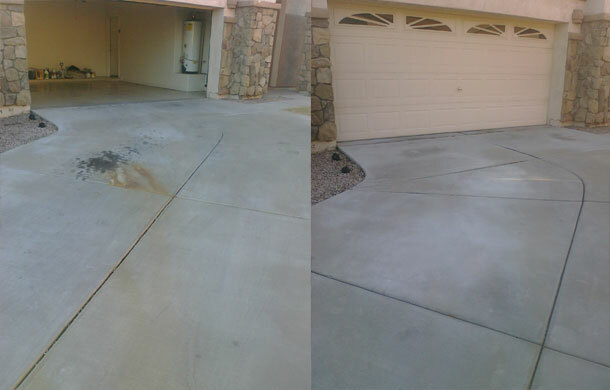 If you need any type of oil removed from your property call AZ Power Wash Pros for a free oil removal quote! 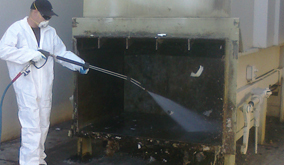 Call AZ Power Wash Pros for industrial oil removal services in Prescott, Arizona.